What's the best acne-fighting ingredient for you? I’m in a very geeky-Thursday mood. Well, it actually started when a friend of mine and I were talking recently about acne treatments and somehow (attempted) to get into the nitty-gritty about the difference between two common ingredients found in acne-fighting products: salicylic acid and benzoyl peroxide. I’m sure many of you are at least familiar with the names from the noted active ingredients in your face wash or similar products. But what’s the difference between them? How would you know when to use one over the other? Is there a big difference in the chemical composition of the two? 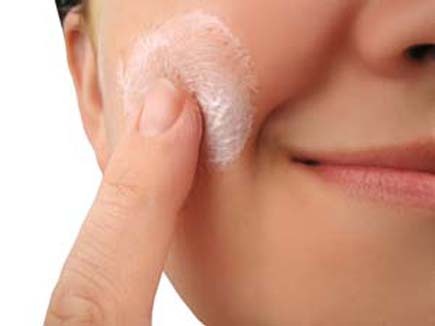 pores so that whiteheads and blackheads are less likely to form. When would you recommend people use a product with benzoyl and when with salicylic? days depending how sensitive their skin is. Is one harsher than the other? moisturization with non-comedogenic lotions/creams is paramount! Are they both used for acne or do they have any other indications? BP is used primarily for acne, but can also be used for folliculitis (pimples on the legs, groin, or buttocks). SA is also used in the treatment of psoriasis, a skin condition called keratosis pilaris (bumpy skin on the upper outer arms), and for rejuvenation. What are some of your favorite products with benzoyl peroxide? With salicylic? And, remember, benzoyl peroxide washes can bleach your towels or clothes (those of you who use ProActiv might be familiar with this), so be careful. What are some of your favorite acne treatments? Does you use mostly salicylic acid or benzoyl peroxide products? Ooo, I most definitely need to get a product with salicylic acid. The whiteheads on my nose are such a pain. This was very helpful. Great post! I love Cetaphil. It’s not really a ‘treatment’ but in terms of face wash and moisturizer. I’ve never gotten so many compliments for my skin looking fresh than when I’m using both. Bad acne , i hate acne as it leaves very ugly spots .